Click here to skip my Ontraport backstory and jump to my done-for-you Ontraport services. I really enjoy relaxing by the pool and reading an inspiring book. Or practicing yoga, surfing or catching up with a friend at a neighborhood cafe. But for a long time – a. very. long. time. – I skipped out on these fun activities day after day because there was always something in my business that needed attention. In the early days of my business, I just figured it was “normal” to be spending all this time building my business. After all, there was a lot of stuff to figure out. But as my business evolved, the needs of my business naturally evolved as well. Long after the start-up phase had passed, I continued to work at unsustainable levels. Meanwhile, I found myself needing more services and features to keep my business running. I continued doing what I always did when I needed new services and features: I added more plugins to my website and signed up for more third-party services and applications. Funnels and landing pages? Check. Forums, member directory, live chat? Check, check and check. Over time, I had patched together enough third-party features and plugins to fill an Olympic-sized stadium (or so it seemed). It didn’t even occur to me that this was a problem. Until stuff started to break. Or my website slowed down. Or a plugin conflict popped up. Or I needed services to be talking to one another so that I could track the data – but they didn’t talk to one another because different companies built them. And that’s when a lightbulb went on. Why am I spending all this time trying to fix things that keep breaking? Why am I trying to use all these plugins on the same site when it is a known fact that plugins sometimes have conflicts with one another? Why am I accepting that this popular email automation service doesn’t capture the data I need? How on earth can I move my business forward when all my time is spent troubleshooting these side issues? I started looking into alternatives and narrowed my search down to three top systems used by 6 and 7 figure businesses. Ontraport was the clear winner for me and my business. I opened my wallet, gave Ontraport my money and dropped most of the plugins and third-party services I had patched together. I’m now using Ontraport’s all-in-one system to power my: email marketing, membership website, sales pages, checkout pages, lead capture email opt-in forms and more. Is Ontraport more expensive? Years ago I thought it was. I admit I had sticker shock back then. But when I add up all the time I now save and consider the fact that everything looks professional, integrates seamlessly and delivers data across touch points, I can’t imagine *not* using this amazing software. Thanks to Ontraport, hours are added back into my day. I’m not exactly basking in the sun by the pool with this extra time but the extra hours bring a greater sense of calm and make space for other things important in life. Just as the name suggests, this is your “getting started with Ontraport” service. I’ll migrate or import your leads into Ontraport, set up your email sequences, create landing pages and new emails. Testing is included (of course!). Building your business doesn’t have to be so hard. The key to creating more time in your day (instead of working around the clock and burning yourself out) is to focus on what’s working well and automate your marketing as much as possible. Hire me to create a custom marketing automation strategy designed to capture and convert leads into customers. I also provide done-for-you Ontraport onboarding, marketing automation implementation and ongoing management. Click below to schedule a complimentary call to discuss your business goals. Looking to monetize your expertise with a premium membership website? I’ve tried a lot of membership options over the years and am now using Ontraport to power my membership site. Get your membership website, payment processing, affiliate program and landing pages set up with the peace of mind that comes from knowing everything will be properly implemented – the first time! 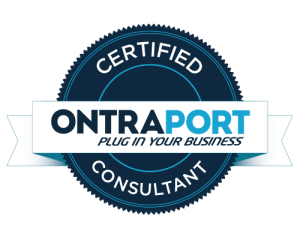 Let’s discuss how I can help you automate your business with Ontraport.